Vandenberg Air Force Base, Calif., USA - October 17, 2014 - The Boeing (NYSE: BA) -built X-37B Orbital Test Vehicle (OTV) successfully de-orbited and landed today at Vandenberg Air Force Base at 9:24 a.m. PDT, concluding a 674-day experimental test mission for the U.S. Air Force Rapid Capabilities Office. 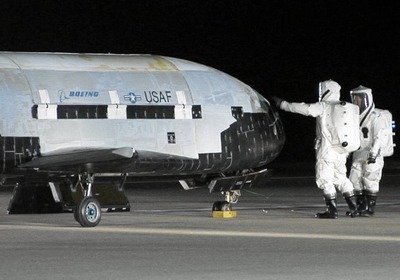 The X-37B was launched from Cape Canaveral Air Force Station, Fla., on Dec. 11, 2012. The first OTV mission began April 22, 2010, and concluded on Dec. 3, 2010, after 224 days in orbit. The second OTV mission began March 5, 2011, and concluded on June 16, 2012, after 468 days on orbit. 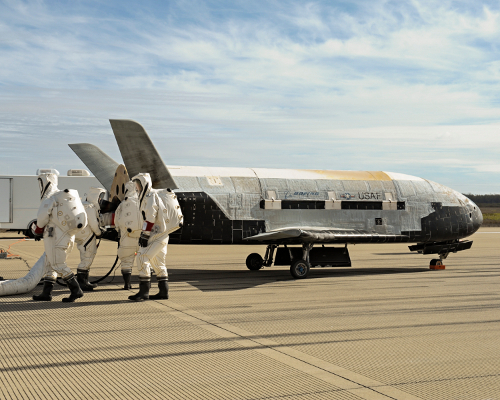 The X-37B program is demonstrating a reliable, reusable unmanned space test platform for the Air Force. 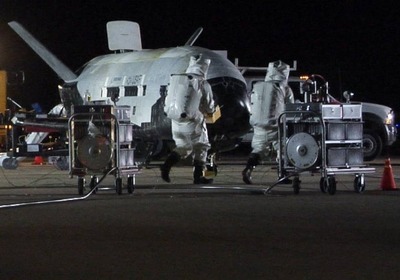 Its objectives include space experimentation, risk reduction and concept-of-operations development for reusable space vehicle technologies that could become key enablers for future space missions. 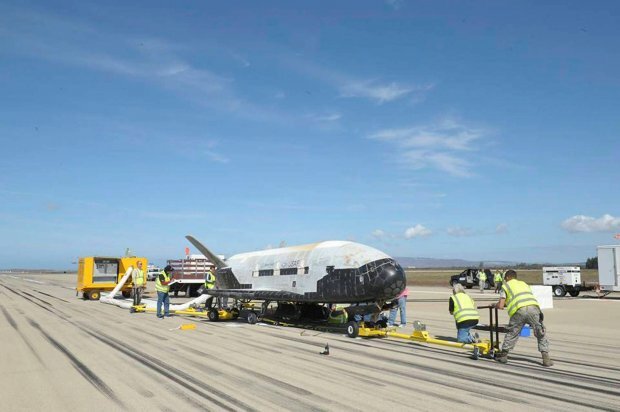 A third mission of the Boeing-built X-37B Orbital Test Vehicle was completed on Oct. 17, 2014, when it landed and was recovered at Vandenberg Air Force Base following a successful 674-day space mission. 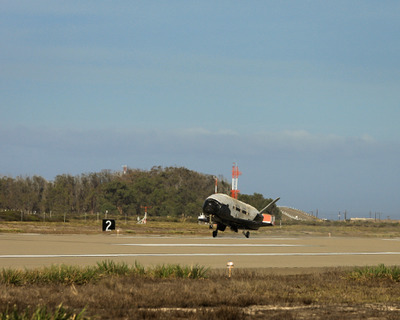 The Boeing (NYSE: BA) -built X-37B Orbital Test Vehicle (OTV) successfully de-orbited and landed today at Vandenberg Air Force Base at 9:24 a.m. PDT, concluding a 674-day experimental test mission for the U.S. Air Force Rapid Capabilities Office. The X-37B was launched from Cape Canaveral Air Force Station, Fla., on Dec. 11, 2012. Recovery crew members process the X-37B Orbital Test Vehicle at Vandenberg Air Force Base after completing 674 days in space. 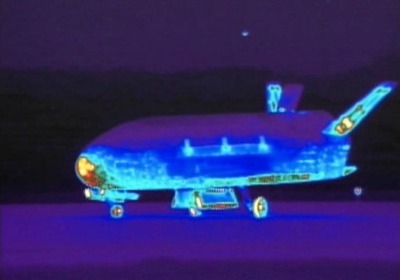 A total of three X-37B missions have been completed, totaling 1,367 days on orbit. “We congratulate the Air Force Rapid Capabilities Office and the 30th Space Wing at Vandenberg Air Force Base on this third successful OTV mission,” said Ken Torok, Boeing director of Experimental Systems. The first OTV mission began April 22, 2010, and concluded on Dec. 3, 2010, after 224 days in orbit. 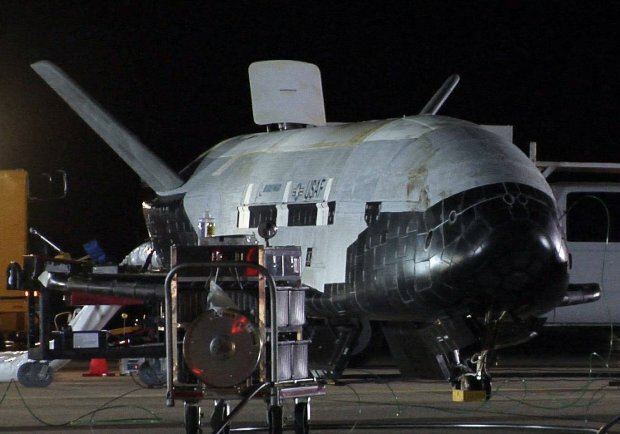 The X-37B program is demonstrating a reliable, reusable unmanned space test platform for the Air Force. 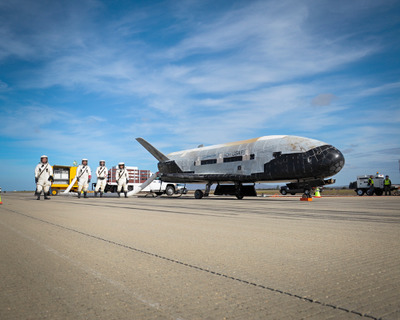 Its objectives include space experimentation, risk reduction and concept-of-operations development for reusable space vehicle technologies that could become key enablers for future space missions. A unit of The Boeing Company, Boeing Defense, Space & Security is one of the world's largest defense, space and security businesses specializing in innovative and capabilities-driven customer solutions, and the world's largest and most versatile manufacturer of military aircraft. Headquartered in St. Louis, Boeing Defense, Space & Security is a $32 billion business with 56,000 employees worldwide.